Stomach cancer (tumors) in cats and dogs. plasmacytoma, fibrosarcoma). Adenocarcinomas will frequently spread to lymph nodes, followed by liver and lung. What are the symptoms of stomach cancer in cats and dogs? protein, or generalized weakness. The duration of symptoms can range from weeks to months. How is the diagnosis of stomach cancer made in cats and dogs? stromal tumors, CD117 immunohistochemical stain is recommended for confirmation. Do these tumors cause pain? as by the treatments. To learn more, please visit the Cancer Pain Management section. What food should be fed to pets with cancer? What are the treatment options for stomach cancer in cats and dogs? 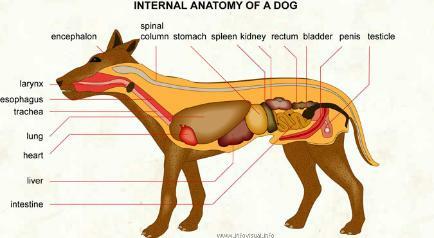 and pet owners should discuss these in great detail with their surgeon. the liver and intestine and no chemotherapy protocols have been shown to provide significant benefit to date. your pet's cancer condition, please visit the "Locate a veterinary oncologist" section. Are there any clinical trials investigating new treatments for stomach cancer in cats and dogs? What is the prognosis of stomach cancer in cats and dogs? gastrointestinal mast cell tumors survived 6 months.